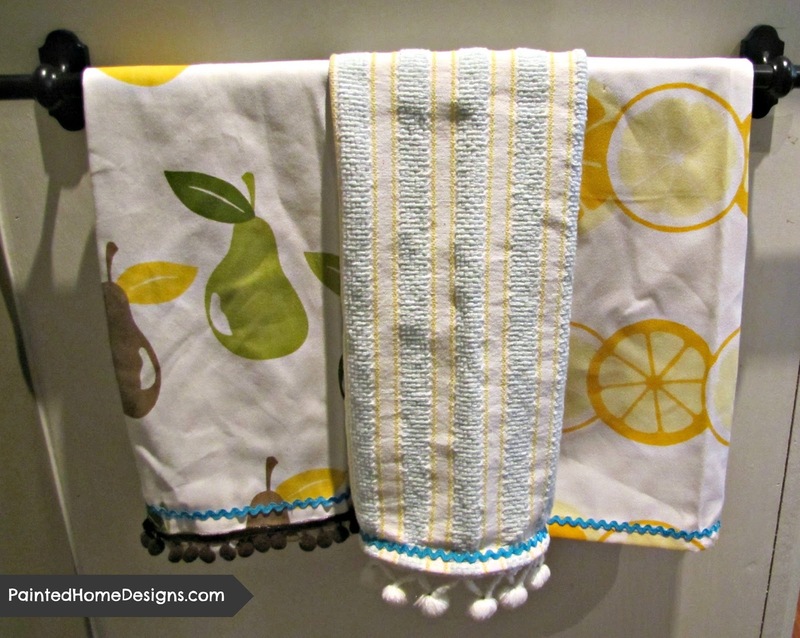 I found these cute citrus dishtowels at Target and had to grab them. 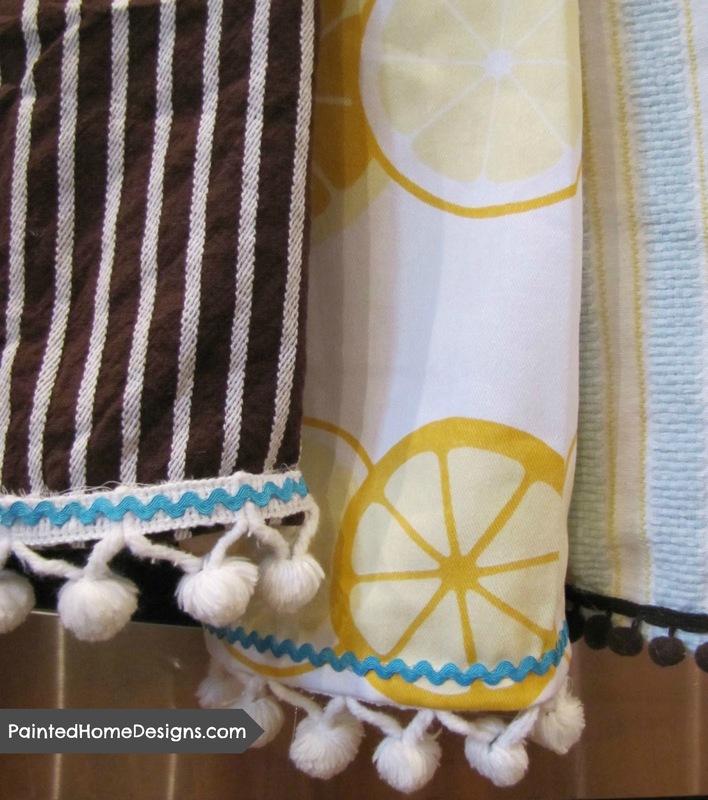 I realizes I had a few strands of trim laying around, so I decided to embellish the dishtowels a bit, along with a few oldies I had in the drawer. LoVe them! Thanks for the inspiration! 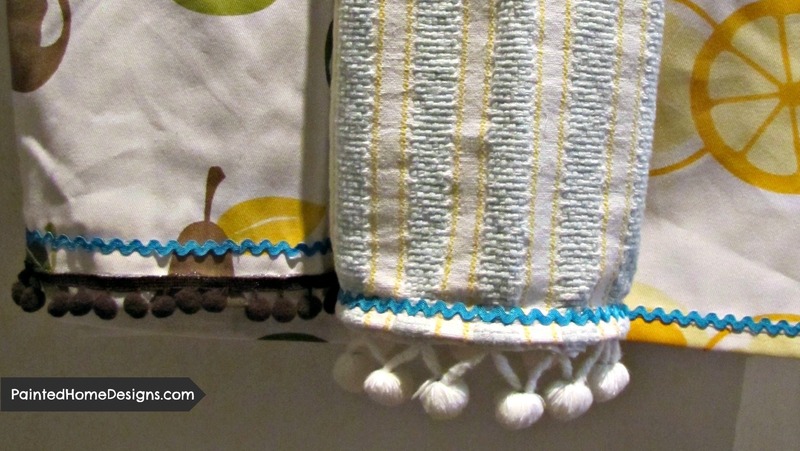 Now I just need to find time to make a few for myself! 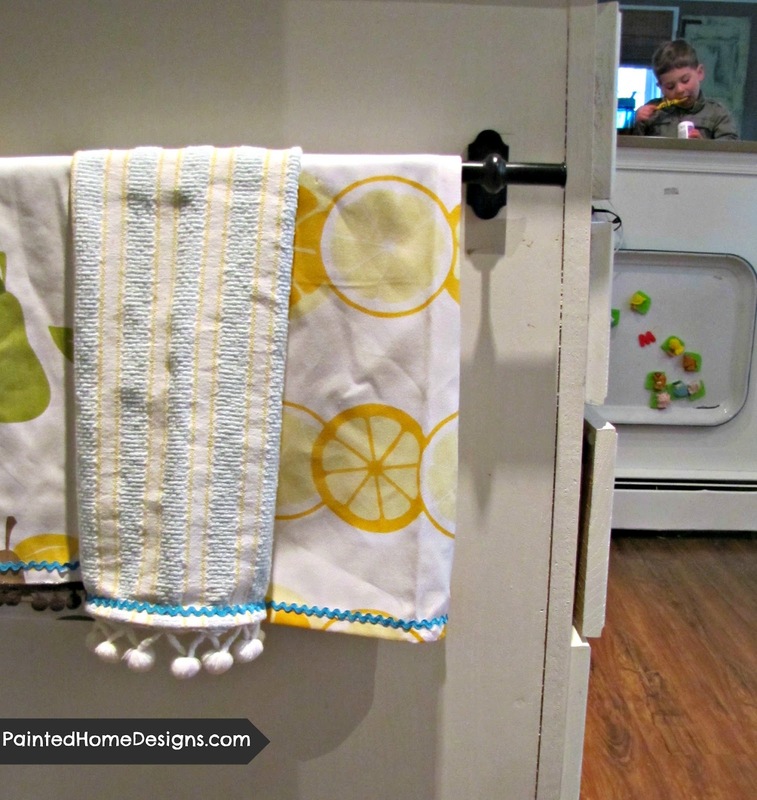 Dish towels is very useful things in kitchen. 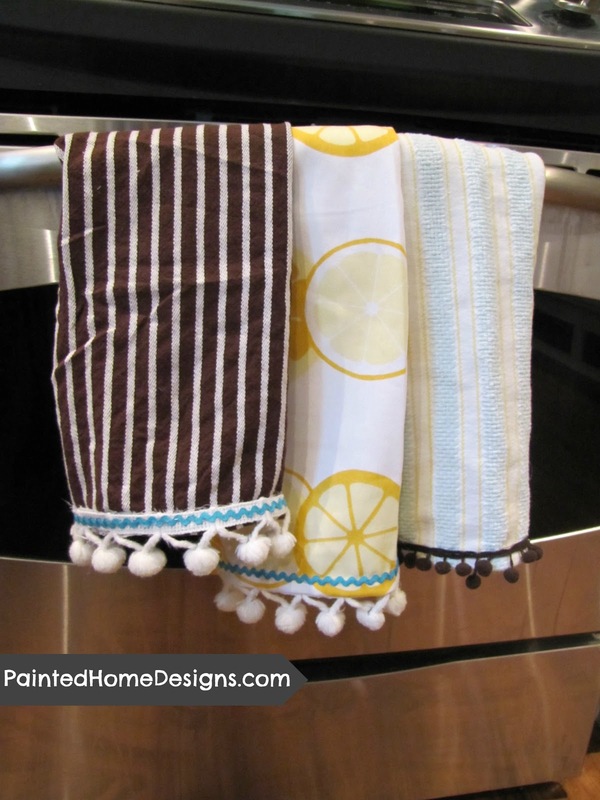 Its such great and amazing idea to decorate dish towels. I give nice idea through your post.